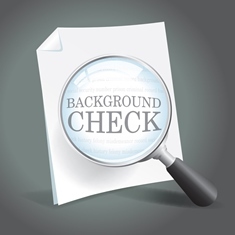 How FCRA Applies to Employee Background Checks | The Consumer Law Group, P.C. While it may be necessary for employers to seek personal information about applicants before making a hiring decision, they are limited by several federal laws as to what they can ask, how they can gather information, and what they can do with the information once they have it. The Equal Employment Opportunities Commission (EEOC) enforces important laws against employer discrimination in the hiring process and employers who violate these laws may be sued by the EEOC on behalf of the victims. Another important federal act that applies to hiring practices is the Fair Credit Reporting Act (FCRA), even if the employer is not seeking credit information. Despite the name of the act, FCRA applies not only to credit reports, but to all “consumer reports” from any “consumer reporting agency.” A consumer reporting agency is any third party that gathers and shares information about consumers, including credit reports, medical records, criminal records, and rental history records. If a potential employer requests any information about you from a third party, they must adhere to the privacy standards set forth by the FCRA. However, if the employer is contacting a former employer or directly checking public documents or records, FCRA does not apply. Notify the applicant in writing that they are obtaining a consumer report for employment purposes. This disclosure must be made in a document that is separate from any other information and may not be included on the application. If the employer is requesting verification of references, addresses, degrees or other information from a third party, a combined written disclosure must be provided. This disclosure must inform the employee of the information that the report will seek. FCRA also gives employees options for viewing reports and correcting false information, as well as other guarantees of privacy. If you feel that your FCRA rights were violated by an employer or a credit reporting agency, contact our office to find out if you have a case. We understand the FCRA and will give you an honest assessment of your situation.